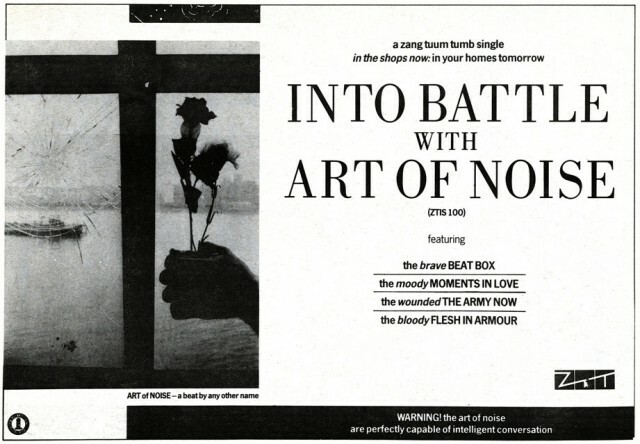 artist: Art Of Noise title: Into Battle with… format: Record Mirror, NME and No.1 magazine 1/2 pg adverts design: XLZTT photography: AJ Barratt cat. 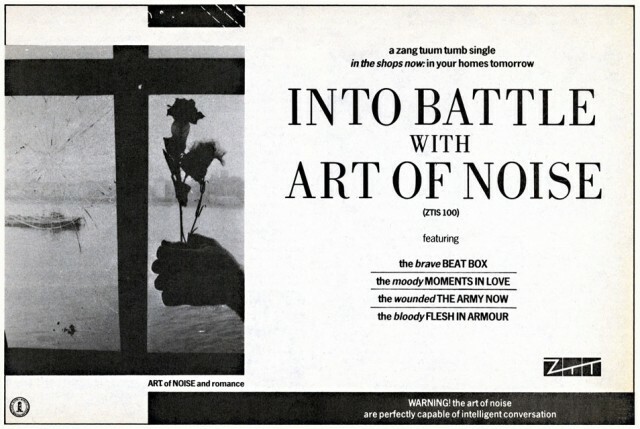 no: ZTIS100 date: 08/10/83 art of notes: Three virtually identical ads but each with their own comment under the rose photo and individual scrap of image at the top. 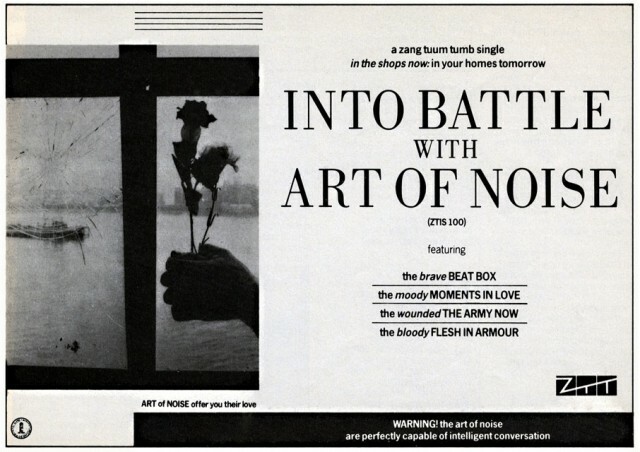 All the advertisements for ‘Into Battle’ were first published in 8th of October issues of the weeklies even though it had been released nearly two weeks previously. I never looked at this advert closely before and had always assumed the hand was holding a cup — probably also due to the low contrast of the ad. 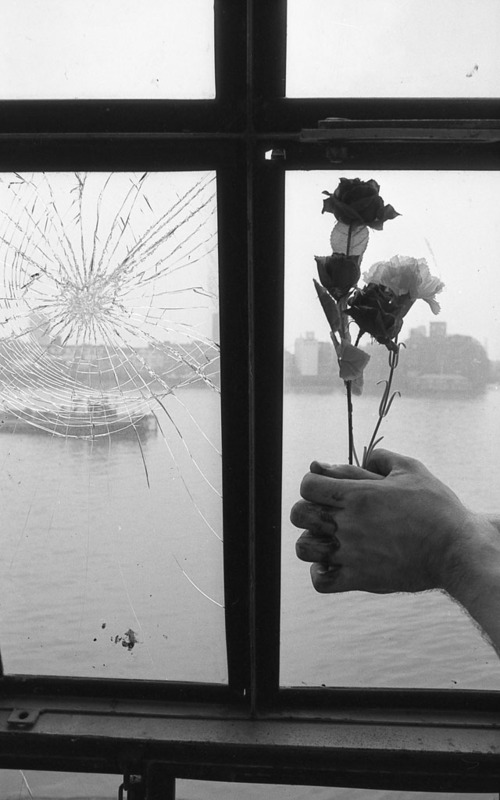 Seeing the original photo is just two hands clasped is interesting and would have changed the mood of the ad for me.